It is on top of the list due to the roles it has in the religion. The Hagia Sophia is among those houses of worship that served a number of religions. It first served as a basilica for the Greek Easter Orthodox when it was built. It became the house of worship for the Roman Catholic Church for almost 6 decades. In 1453, it served as a mosque and remained so until it was closed. There was once a time when it was named as the world’s largest cathedral. At present, Hagia Sophia is seen as the greatest example of the Byzantine Architecture. It was built during the early times of the 17th Century. It is still active today. Hence, you need to properly plan your visit if it is one of your Istanbul attractions to go to. The mosque is housing priceless treasures, which are in the forms of ceramic tiles in a range of tulip designs as well as stained glass windows which are all in intricate designs. This historical attraction is combining a stunning scenery and history. It is built during the fifteenth century and played a significant role when the Ottoman Empire was still reigning. The Palace itself is surrounded by 5 kilometers of wall made of stone with several towers. During the Ottoman Empire, it served as the sultans’ residence and the Turkish government’s seat. But those days have ended and it is now a museum. However, it still known as the world’s oldest and largest palace. Visiting the palace, you will be able to have a glimpse of the quarters of the harem, a weapon collection used by the Sultans, the treasure along with the collection of clocks and jewels and more! The palace is described as luxurious and beautiful. It is due to its beauty that it is compared to Versailles Palace. It was built during the nineteenth century with the use of about fourteen tons of gold leaf. Dolmabahce is glamorous palace that combines the Neoclassical, Rococo and Baroque European style with the Ottoman traditional architecture. The in and out of the palace spell glamour and luxury. From the inside, you only have to take a look at the Bohemian crystal chandelier, which is also the largest in the world and you will be impressed. These historical attractions are not the only ones you can visit since Istanbul offers a lot of them. But these four should be in your list if you want the top ones included in it. 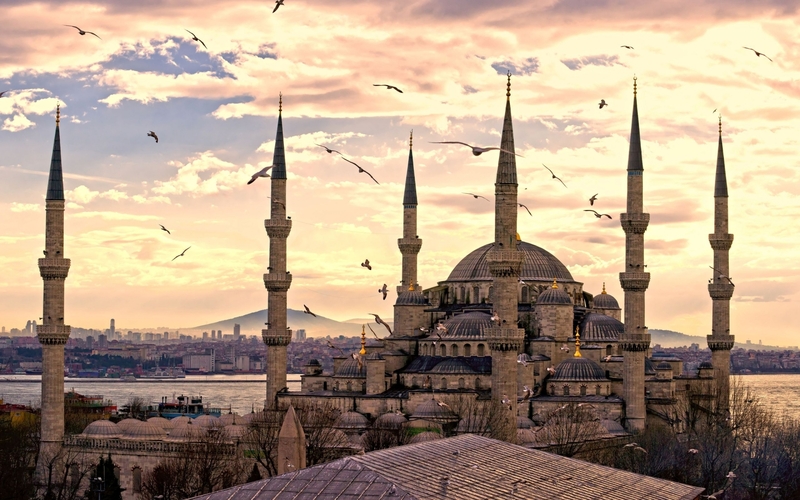 Now, you only have to get yourself a glimpse of these attractions and see the reason why these are the top historical destinations in Istanbul, Turkey.